• Exclusive invitations to events at the university, including a reception for speakers at our annual Urban Entomology Conference. • Access to faculty research of relevance to your company. 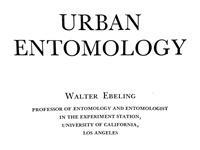 • Entomology newsletters and other publications. • Recognition on our Web site with your company logo. 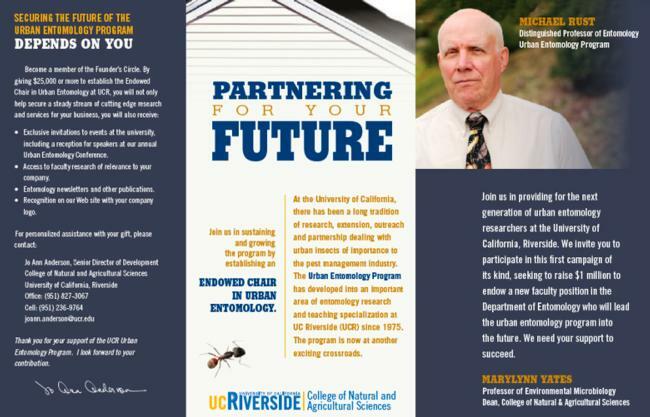 Thank you for your support of the UCR Urban Entomology Program. 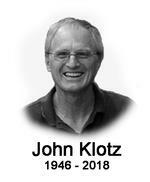 We look forward to your contribution.